Durable roofing for an affordable price. For all your multiplex roofing needs. For all your pitched roofing needs. For all your flat roofing needs. For all your commercial roofing needs. Union Roofing is a team of expert roofers specialized in roofing repairs in both the residential and commercial sectors. 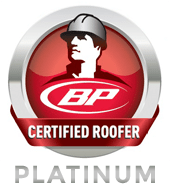 Our goal is to offer you a high quality roof by providing you with the best professionals. 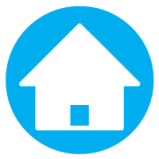 With our advice and our thorough review of your roof’s condition, you will understand the changes you need to make to achieve an optimal roof system. The staff at Union Roofing consists of courteous, conscientious and responsible employees who care about customer satisfaction. Our excellent before and after sales services combined with our regular training is what sets us apart from the competition. For clean work at affordable rates, there’s just one number to call! Whether for small repairs or an entirely new roof, Union Roofing guarantees you quality, compliance and efficiency. 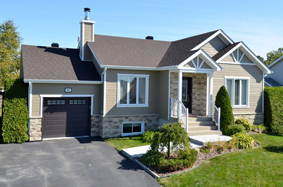 We offer our services on the South Shore of Montreal and surrounding areas. 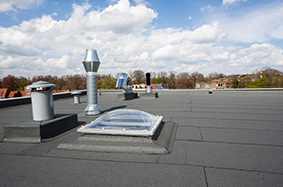 Need to replace the lining on your flat roof? Consider installing an elastomeric membrane and get the many benefits it offers in terms of sustainability, maintenance and water tightness. The expert roofers at Union Roofing have advanced expertise in laying elastomeric membrane, which requires care and attention to detail. Call Union Roofing for top quality work within your budget! Contact us to learn more about elastomeric membrane roofs. At the same time, why not ask for a free estimate online! 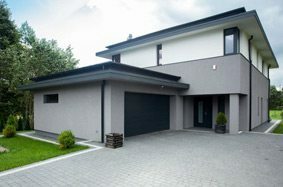 Elastomeric membrane: Your roof will last from 20 to 30 years. Asphalt shingles: This durable material combines performance with aesthetics. A job for the pros! 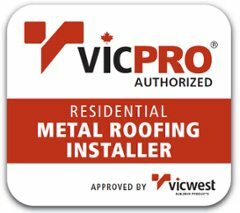 Have your roof installed by master roofers. Union Roofing is specialized in roof repair and installation of elastomeric membrane and asphalt shingle roofs. 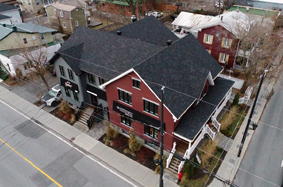 We offer the following services: aeration, ventilation and roof insulation, modification of roof framing, general roof repairs, waterproofing and exterior siding, snow removal, pre / post purchase inspection and gutter cleaning.